Back in 2011 (which clearly ended not too long ago), there was this company called Sony Ericsson, but somewhere, somehow, along the way, something happened, and the company decided to part ways – ditching the Ericsson name, and Sony continues to forge onwards in the smartphone industry on their own, just like how they did all those years ago with their collection of mobile phones. I clearly remember Sony introducing the Jog Dial concept that made it a whole lot faster to scroll through the menu system. Well, fast forward to today, and here we are, having arrived full circle yet again. 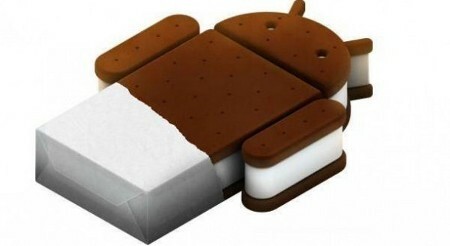 If you happen to own a smartphone which hails from the 2011 Xperia range, then you would be pleased to hear that at long last, you will be able to have Android 4.0 Ice Cream Sandwich up and running on your handset in the coming weeks ahead. The new Sony software upgrade which will include the uplift to Android 4.0 Ice Cream Sandwich for the 2011 Xperia smartphones will initially be made available to just three handsets – the Xperia arc S, Xperia neo V and Xperia ray, and even then, it will be limited to consumers who reside in Sweden, Denmark, Iceland, Finland and Norway. As for the rest of the world, they will need to wait for the next 4 to 6 days, giving you the opportunity to exercise your patience to unprecedented heights. How do you get the software upgrade from Sony running on your Xperia device? Well, you will first be able to see it when the software kit (customized specific to your operator and handset) is prepared and ready on Sony’s own support community, which is http://talk.sonymobile.com. Do continue to keep on checking if your kit has yet to be listed. You will need to connect your 2011 Xperia smartphone to a PC or Mac, prior to checking out and following the instructions here (http://www.sonymobile.com/update) to the letter. As for the rest of the 2011 Xperia range which will comprise of the Xperia arc, Xperia PLAY, Xperia neo, Xperia mini, Xperia mini pro, Xperia pro, Xperia active and Sony Ericsson Live with Walkman, those will start to receive the Android 4.0 Ice Cream Sandwich update from the end of May or early June onwards.